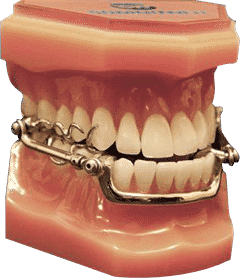 What is a Dental Appliance for Sleep Apnoea? Dental appliances for sleep apnoea / apnea, hold your jaw forwards to aid breathing, while you sleep. They are prescription medical devices, for diagnosed obstructive sleep apnoea (OSA) patients. If you snore or are worried you may have sleep apnoea (but are not yet diagnosed), then its easy and free to find out, and get signposted to the most appropriate professional to help you. Go here. How to get a dental appliance for sleep apnoea? Dental appliances for sleep apnoea: an appealing option? Can a dental appliance help sleep apnoea? Can dentists treat sleep apnoea? Can dentists diagnose sleep apnoea? What is the cost of a dental appliance for sleep apnoea? A 3rd Category of Dental Appliance for Sleep Apnoea? What questions do Predictor appliances answer? 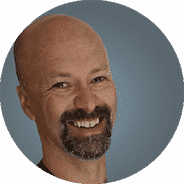 I’m a sleep-industry insider with a quarter of century of dental sleep medicine (DSM) experience. 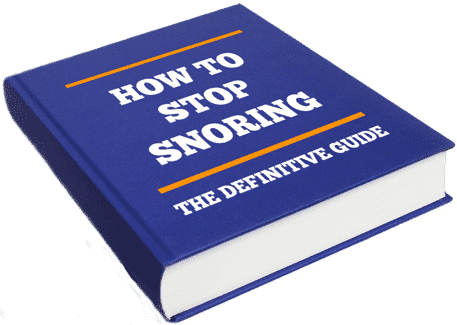 Learn more about snoring with exclusive tips and insights that we only share with private newsletter subscribers. Dental appliances for sleep apnoea are an option for diagnosed obstructive sleep apnoea patients, who are unable to use Positive Airway Pressure (PAP) therapy. Sleep apnoea dental appliances are prescribed by sleep-trained dentists upon referral from a sleep unit. A dental appliance may also be recommended by the doctor when automatic PAP therapy pressures are very high. The idea is to attempt to reduce the pressure required. This is typically for patients with severe obstructive sleep apnoea (OSA). PAP therapy is considered the most effective way to treat obstructive sleep apnoea. A hose connecting you to the pump machine. How to know before buying one, if a dental appliance for sleep apnoea, will actually work? The trouble with a custom-made dental appliance for sleep apnoea, is that you have to wait for it to be made for you. "Hang on, before I get one, I'd like to know if it works, and if I can wear it!" 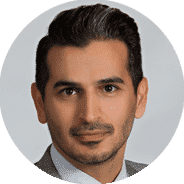 The inability to determine BEFOREHAND, who will and who will not find oral appliance therapy effective, has impacted upon wider adoption of dental appliances (by the medical community) for patients with anything other than snoring or mild obstructive sleep apnoea. 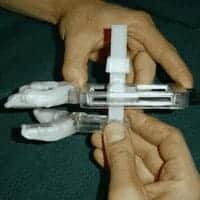 So then, you'll be interested in this brief introduction to the topic of a little known, third category of dental appliance for sleep apnoea. But first, are dental appliances effective for sleep apnoea? Yes. Prescription, custom-made, adjustable dental appliances are a valid option for sleep apnoea. They are however, considered second-line therapy (meaning there is a preferred therapy [first-line] i.e. PAP). 'Second line' means that PAP is considered the best option and dental appliances are only considered when a patient fails with PAP therapy. 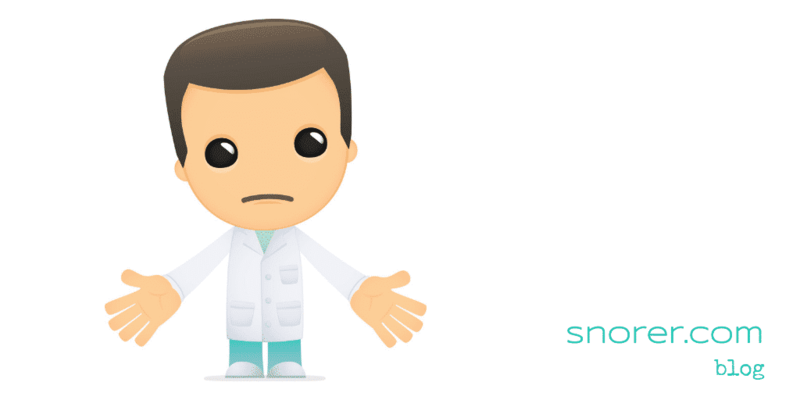 When a patient has been medically diagnosed and is then referred to a sleep-trained dentist, with a view to the dentist prescribing a custom-made dental appliance. Such a sleep apnoea patient would require 'objective titration'. This means that the protrusion (forward movement of the jaw achieved through use of the dental appliance) would be adjusted with reference to data obtained from repeat sleep studies, to ensure the patient's sleep apnoea was effectively treated. Positive Airway Pressure (PAP) is considered by the medical profession to be the best treatment for sleep apnoea. However, PAP is an arduous therapy and compliance (those who actually use it) for more than 4 nights a week and more than 4 hours each night are surprisingly few. Consequently, dental appliances for sleep apnoea, although they may be considered less effective in terms of overcoming sleep apnoea (measured by oxygen desaturation), there is evidence that patients use them more than PAP. Dentists cannot diagnose obstructive sleep apnoea (OSA). The diagnosis of obstructive sleep apnoea (OSA) is the exclusive preserve of the specialist consultant respiratory physician. Screen and recognise obstructive sleep apnoea (OSA) symptoms and refer for further investigation to the GP with a view to a home sleep study. If you're a dentist interested in training to provide dental appliances for snoring and sleep apnoea patients, then our KnowSleep™ Academy is for you! How much does a dental appliance for sleep apnoea cost? Some countries in Europe will pay for a dental appliance for a diagnosed sleep apnoea patient. In the UK, this is a grey area. You may be able to obtain an NHS funded dental appliance (don't expect the best or even a choice) but in my experience, you probably won't get any help. It's wrong and it needs to change. A 'ball park' price would be anything between ~350 to 1800 GBP for both the dental appliance and dental clinical fees. The price varies for the proximity to London, and of course the sophistication, quality and warranty provided for the dental appliance. Warranties of 5 years plus are available for certain appliances. If you're in the US and diagnosed with sleep apnea (different spelling) then you should find your dental appliance is a 'reimbursed therapy' my advice is to check which dental appliances ARE paid for by Medicare (not all are). Not a lot positive to say about category 1 dental appliances. Read this if you want to understand more about the 'interesting' claims made for them. Figure 1. 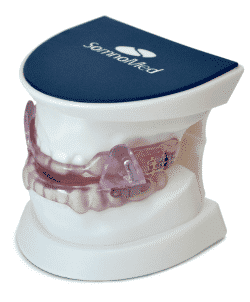 SomnoWell dental appliance for sleep apnoea. Image used with permission. 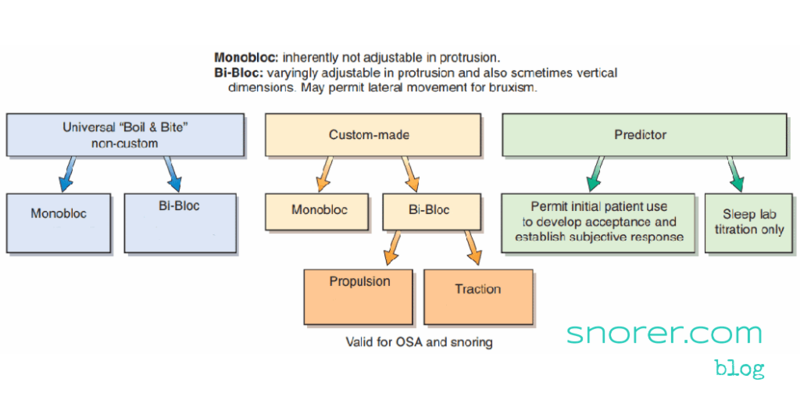 Figure 2: SomnoMed dental appliance for sleep apnoea. Image used with permission from SomnoMed UK Ltd. Figure 3, shows the actual predictor prototype 'in the flesh' and Figure 2 illustrates where predictor dental appliances fit in the overall taxonomy. invented by Adrian Zacher MBA. Figure 4: Taxonomy of dental appliances for snoring and obstructive sleep apnoea. 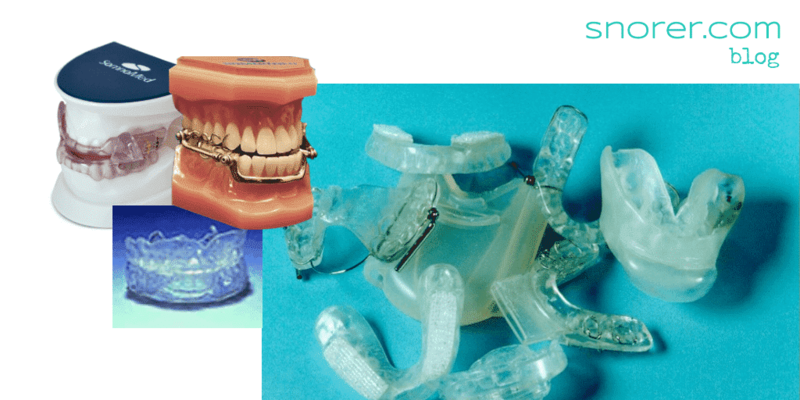 Why a 3rd category of dental appliance for sleep apnoea? Predictor dental appliances for sleep apnoea are not the same as over-the-counter (OTC) anti-snoring devices. OTC anti-snoring devices have been researched (learn how they faired in this definitive guide ↗). A Predictor dental appliance is NOT intended to provide long-term therapy. Below is short video animation of a prototype sleep apnoea dental appliance (predictor) there is no sound. Remember, this is an early prototype and it's NOT intended to be worn for any length of time! What questions do predictor dental appliances answer? If obstructive sleep apnoea (OSA) patients' are to be effectively treated the medical and dental profession must work together in a more patient-centric way. Predictor dental appliances are perhaps the means to 'build the bridge' between the two. And the patient knows BEFOREHAND if a dental appliance will work! I let my patent lapse. This was over 15 years ago! (2003) Damn. Nothing at all in fact. We do this to help - because we can. Snoring & Obstructive Sleep Apnoea (OSA) - the role of the dentist. We provide enhanced CPD (continuing education) training courses for dentists and support staff wishing to further their knowledge and understanding about treating patients who snore and/or may have obstructive sleep apnea / apnoea (OSA). 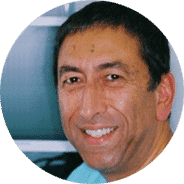 Our on-demand snoring courses for dentists, teach dentists (and GPs) how and when to prescribe custom-made, dental appliances for sleep apnoea and snoring. Thank you for your detailed explanation of these devices. Thanks for info, very helpful. This Guide is exactly what I was looking for. I learnt how it all fits together and how to actually to stop snoring. Thanks. Very helpful and comprehensive advice. I shall share this with my husband so we can work together to help his snoring. Thanks very much. This is an excellent review of snoring device options. I appreciate the various areas of concern and associated explanations. The information provided helped me make a better decision about next steps with my snoring problem. This Guide gave good information on how to actually get help and the benefits of treatment - in simple terms. The options were explained and I'm encouraged to take control of the situation. I will be bringing this to the attention of my partner! Let others know what you think. If you think you have a sleep disorder please seek appropriate medical advice. 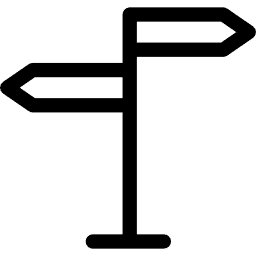 If you're in the UK you can get signposted to the most appropriate professional to help you for free. Here. 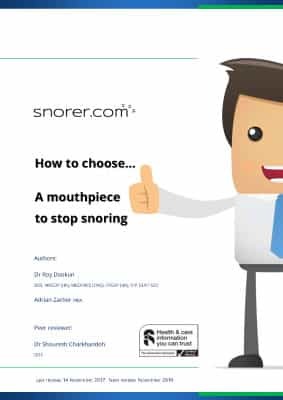 If you’re looking for the best anti-snoring device, read my impartial review of the top-selling features and benefits. 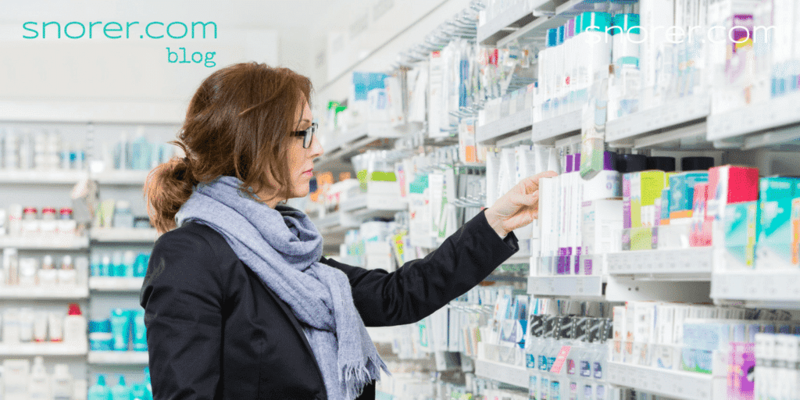 I compare Over-the-Counter (OTC) versus prescription Mandibular Advancement Devices (MADs). I don’t sell them or benefit from affiliate deals. 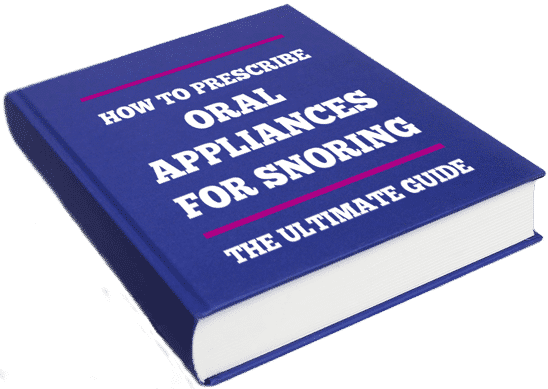 Learn how to prescribe oral appliances for snoring (2019). Ultimate, step-by-step, how to guide. Including assessment, screening, diagnosis, treatment, bite registration, lab requirements and follow-up. The DVLA and General Medical Council (GMC) in March 2016, reinforced the fact that it is the individual’s responsibility to cease driving and inform the DVLA, should anything impact upon ability to drive safely. They went on to impose a significant and impossible burden on the GP.